Service Areas | Cummings Moving Co. This map highlights our local service area. 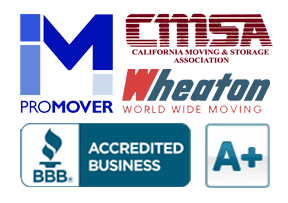 We move clients all over California and across the country too! 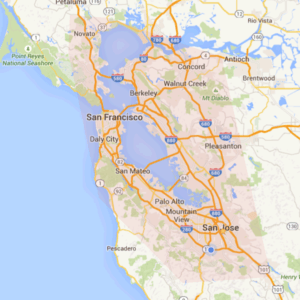 Cummings Moving Company regularly provides moving and storage services for clients all over the San Francisco Bay area – from Novato to Los Gatos and Concord to Half Moon Bay. That said, there are certain cities where word of mouth has traveled fast throughout the years. We find that folks in the cities and towns (listed below) really like to share a good resource when they find them – and we are always happy when they do! For those new to the area or considering a move to one of the frequently requested cities within our greater service area, we have put together some handy information. Whether passing through, visiting for a weekend or considering a permanent move, we trust you will find some helpful information within these pages. At the end of the day, all our clients, regardless of where they live, the size of their home or value of of their possessions – they all ask the same thing of us as their moving company. “Did Cummings Moving deliver attentive customer service, expert moving teams, on-time arrival and top-quality work done in an efficient and time-sensitive manner?” Beyond that, should something unexpected occur, our clients trust that we are fully accountable and have a solution at the ready. It really is that simple. We have a four-decade, soon to be five-decade, reputation to maintain. We know that the word-of-mouth business at the heart of our long-term success is only as good as our most recent moves. Clients from the cities at the core of our service area have used Cummings Moving Company for 2-3-4 and even 5 moves! With each move or storage experience we must prove anew that we are worthy of their next job. It is in our nature of our people to go above and beyond – to make a difference where they can and do the unexpected to make a client happy. “This is the second time I have used Cummings Moving Company. Once three years ago and the second time was two days ago. Miguel, Caesar and Fernando were the BEST!!! On time, kind, respectful to my stuff, friendly, and beyond professional. The guys had 3 flights of stairs at my new place and they made it look easy. All of my stuff was in perfect condition. Miguel, went beyond the call of duty and fixed my coffee table, all on his own, as it was wobbly. It needed the screws tightened. I thought I was going to have to buy a new table. Thanks again!! !” – As seen on Yelp by Michelle Z.
Click here for more reviews from our clients. If you have questions about your next move or would like to know more, simply call our office. From San Francisco call 415-387-4000 and from the Peninsula, call 650-692-3000. Or click to request a free moving quote online.